The Atari Token is being created specifically for use on a new digital platform that Atari is working with an outside party to build. The new platform is being built on blockchain technology. Forget about “Pong” – Atari’s next big move is into an entirely new industry: cryptocurrency. Atari SA, the French holding company that now oversees all “Atari” properties, announced earlier this month that it’s working on a cryptocurrency named “Atari Token.” Moreover, that cryptocurrency is intended for use on a new digital entertainment platform. Additionally, Atari is taking a minority stake in Infinity Networks in exchange for use of Atari’s brand name (in addition to potential future royalties and earnings from the platform). 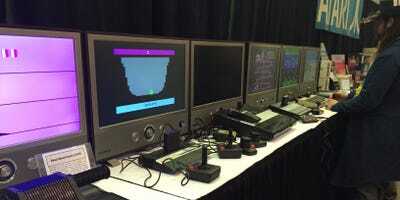 Matt WeinbergerThe history of Atari game consoles was on display at the 2015 Game Developers Conference in San Francisco. If all of this sounds a little strange to you, that’s because it’s all pretty strange. 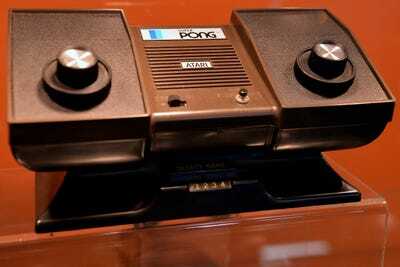 Atari’s history is long and storied, and it’s directly intertwined with the rise of the video game industry. The company is largely credited with having created the game industry – first with games like “Pong” and “Breakout” in arcades, and then with home game consoles like the Atari 2600. It’s also notorious for having helped bring about the crash of the game industry in the early ’80s. Since those days, Atari has devolved from a game developer/publisher and hardware manufacturer to little more than a famous brand name. The current incarnation of “Atari” is a re-branding of a French company previously named Infogrames. There are actually several different business entities named some derivation of “Atari” at this point – Atari SA is the parent company that’s responsible for the Atari Token and this upcoming blockchain-based digital storefront. That parent company is currently attempting a big turnaround for Atari, and it looks like the latest efforts are working. The announcement alone was enough to bolster Atari SA’s stock –Bloomberg reports that it leapt by more than 60% on the news. It’s unclear when the new platform will launch, or when Atari Token will become available for purchase.